Ald. Brian Miller (9th) speaks at a forum for mayoral candidates Thursday evening. The three candidates in attendance discussed how to work with state and federal officials and town-gown relations in the future at a forum Thursday evening. Evanston’s mayoral and city clerk candidates discussed town-gown relations and how to work with state and federal officials in the future at a forum Thursday evening. The forum, held at Haven Middle School, 2417 Prairie Ave., and attended by about 75 people, was hosted by the Central Street Neighbors Association. Two mayoral candidates, Ald. Mark Tendam (6th) and Steve Hagerty, did not attend the forum. The mayoral candidates in attendance — Ald. Brian Miller (9th), Gary Gaspard and Jeff Smith (Weinberg ’77) — said the mayor must work well with aldermen in helping set policies and find solutions to problems. Miller said although the city has a “weak mayor” system in which most of the power goes to City Council and the city manager, the mayor still has veto power and influence in setting agendas. Smith said he would look into introducing legislation as mayor. He pointed to his experience on various local boards as proof of his ability to work with different groups to bring about change. 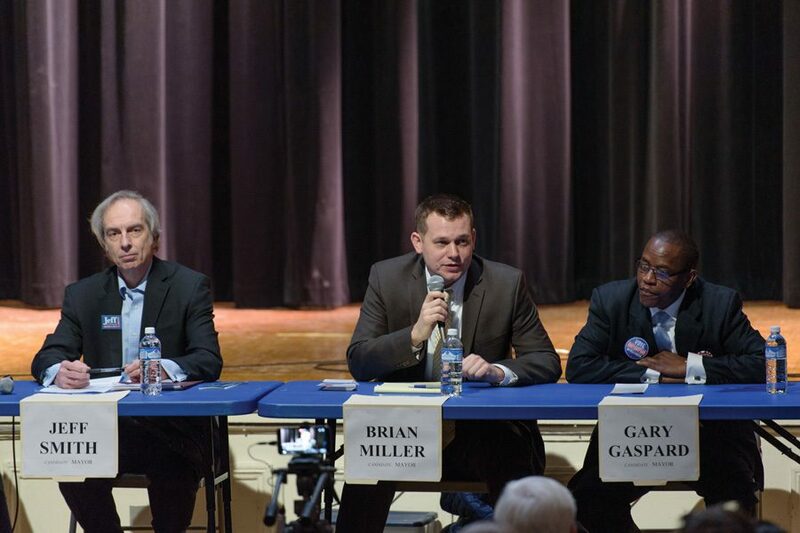 In terms of the city’s relationship with Northwestern, the three mayoral candidates at the forum said they do not want to go back to the days when high tensions characterized the relationship. However, Smith said the city must exercise its authority when needed in dealing with the University. “Evanston would not be what it is without Northwestern University, but we can’t be a pushover either,” Smith said. Miller said the city could focus on utilizing more of the University’s resources to solve city problems. He pointed to Northwestern’s Transportation Center as a resource to use in addressing the city’s traffic problems, and Miller said The Family Institute at Northwestern could help provide counseling to youth in the city who are prone to violent behavior. Gaspard said he told University President Morton Schapiro that his good relationship with Tisdahl would continue with Gaspard as mayor. “(Northwestern) gives us a good name, and we have to find a way to work with them,” Gaspard said. City clerk candidate Devon Reid said he wants the city clerk position to become more active in shaping policy and clearing up the local election process. Reid said he would also encourage high turnout in local elections and would create a legislative tracker so citizens can more easily follow legislation going through City Council. “I believe that when residents have the information necessary to keep their officials accountable, we here in Evanston can fight injustices (and) fight for police accountability,” Reid said. Incumbent City Clerk Rodney Greene said the position is not responsible for pushing policy but is supposed to provide information and services to citizens. Greene said he has helped citizens during his time in office and would work to clear up local election guidelines in the future. Regarding Evanston’s connection with state and federal politics, Gaspard said creating positive relationships with state lawmakers is key, adding he wants to talk not only with Democrats but with Republican lawmakers as well. Miller said Evanston needs to stand up for what it believes in, even if the Trump administration attempts to intimidate Evanston. The mayoral primary is Feb. 28, with early voting set to begin on Feb. 13. If no candidate earns over 51 percent of the vote, a general election will be held on April 4. The election for the city clerk race will also be held on April 4.